Barnes & Noble's latest (and probably final) ereader doesn't have quite as many nifty software features as earlier models, but it does still have a few hidden options. For example, one MobileRead member has discovered that the Glowlight Plus has a hidden web browser (just like previous models). You don't access it quite the same way, but it is there. Here's how to get to it. 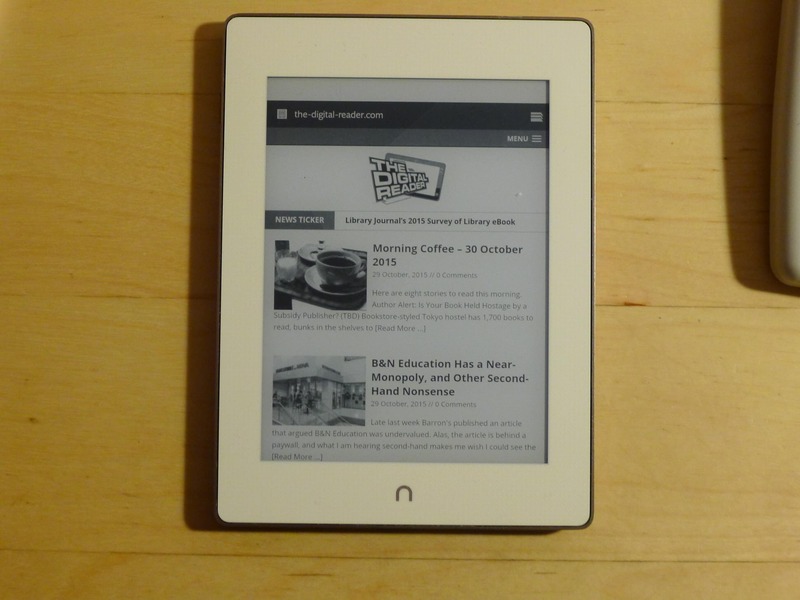 To find the web browser on the Glowlight Plus, first open an ebook. Select a word, and when the menu pops up on screen select the sharing option. (It looks like a sideways V, or an <). Choosing the share option will bring up a menu where you can log in to your Facebook account. You can log in to your account if you want, but if you just want the web browser then look for the very faint print text below the email/password box. Press the words that say "Help Center". And now you have the web browser open. I don’t think this is the final ereader from B&N. I think there is room in the market for future Nook devices.